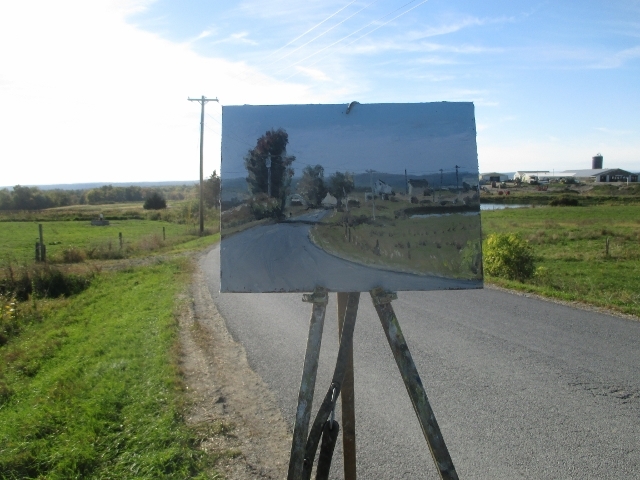 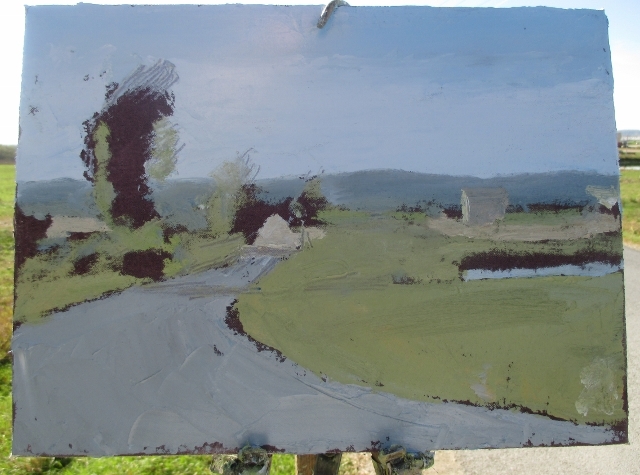 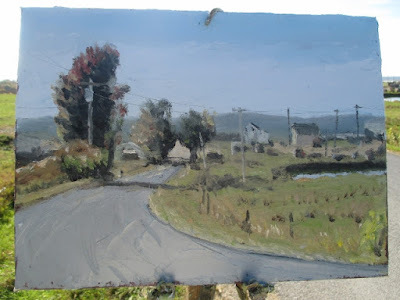 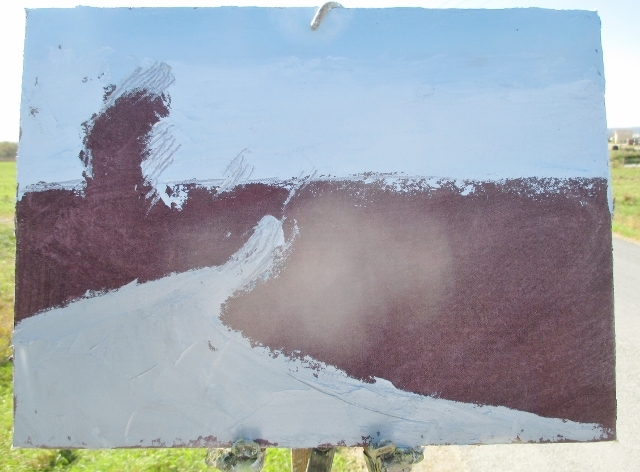 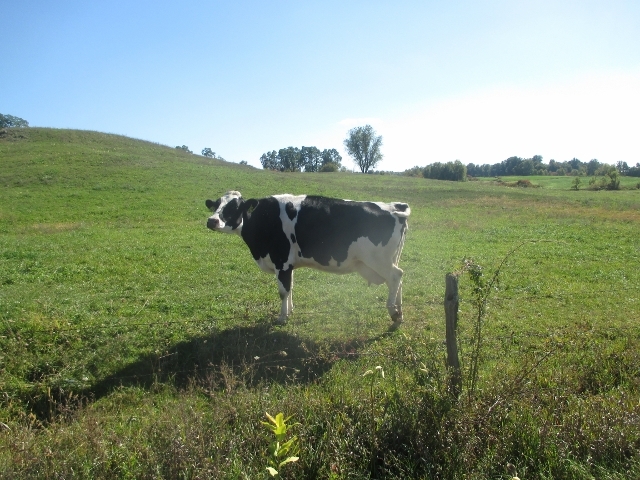 Matt Chinian Painting Blog: Workin' the farm, Waite road, Easton, NY. 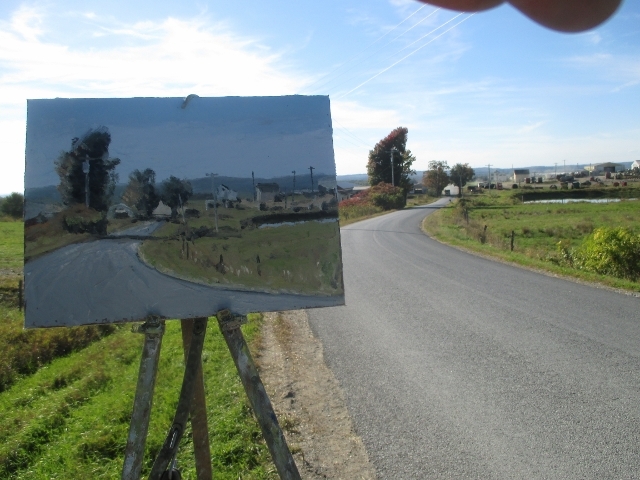 It was a gorgeous day, I had to paint it! #635 Waite Rd. 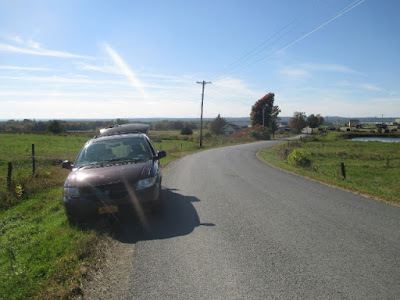 Easton, NY. We're looking West, just before the East bank of the Hudson River, the far hills rise up from the West bank. 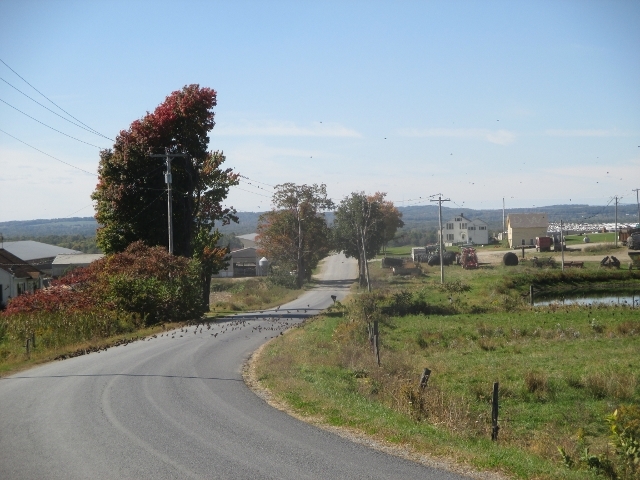 The land is wide open here, in marked contrast to the tight rolling hills not far to the East. It surprised me how close the sky and road were. The thing about the large expanse of green, is that it isn't. It's a whole bunch of different colors, but I've got to cover some ground, so I'm squinting and trying to get the general color. 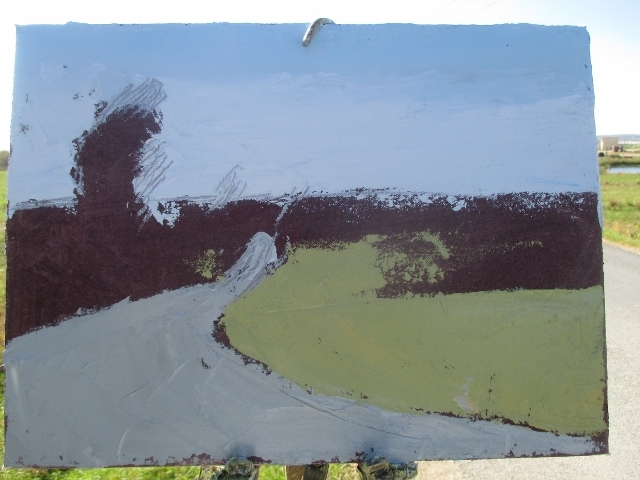 I mix something, put a smudge down, and step back and compare it to the scene, if it's way off I'll have something to change. 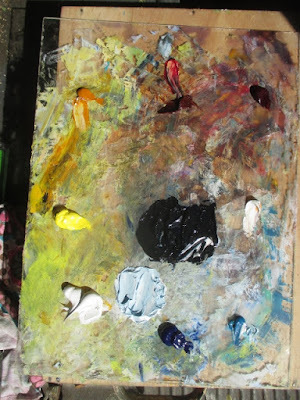 Now I've got most everything in play, my tone is acting as the dark, and I can make changes as I see them.